Mitcham City Brass and Unley Concert Band are off to the 2018 Australian National Band Championships in Kew, Victoria! To celebrate, we will be presenting an afternoon concert of our Nationals C Grade Brass and A Grade Concert programs (respectively) to our band supporters and friends! 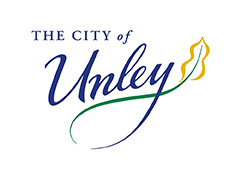 Works will include the test pieces for each grade ‘Graces of Love’ by Oliver Waespi and ‘Symphony for Band’ – Jerry Bilik as well as each band’s march, hymn and own choice selections. Afternoon tea will be included in the bargain price of $5 per ticket, available at the door! Raffle prizes to be won! 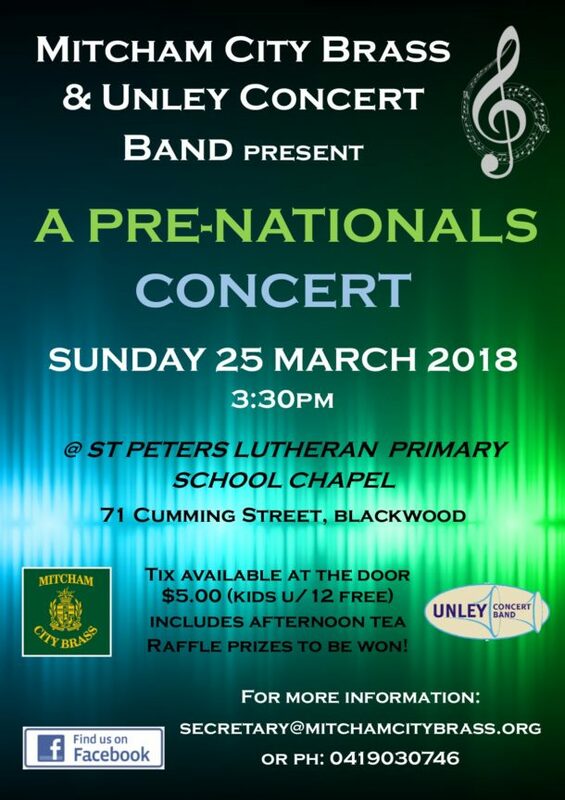 Conducted by musical directors Steven Packer and Bryan Griffiths and held at the beautiful chapel at St Peters Lutheran School in Blackwood, it will be a great chance to cheer on two of our most successful SA bands!